ISLAMABAD: Moles hired by the Indian spy agency, Research and Analysis Wing (RAW), have been involved in planting Improvised Explosive Devices (IEDs) to target Pakistani security forces and innocent civilians, according to an intelligence probe that debunked the recent Indian claims of ‘surgical strikes’ within Pakistani territory in Kashmir. Official documents available with Pakistan Today suggested that the investigators have led to the conclusion that Indians were involved in planting highly sophisticated IEDs near the Line of Control (LoC), and 27 such attacks since 2016 have led to the death of eight civilians and military officials while leaving left 19 injured. A comprehensive intelligence probe has found irrefutable evidence proving the direct involvement of Indian intelligence agencies, particularly RAW, in planning and execution of these attacks. The probe also resulted in the arrest of several moles who confessed their role in 27 IED attacks. 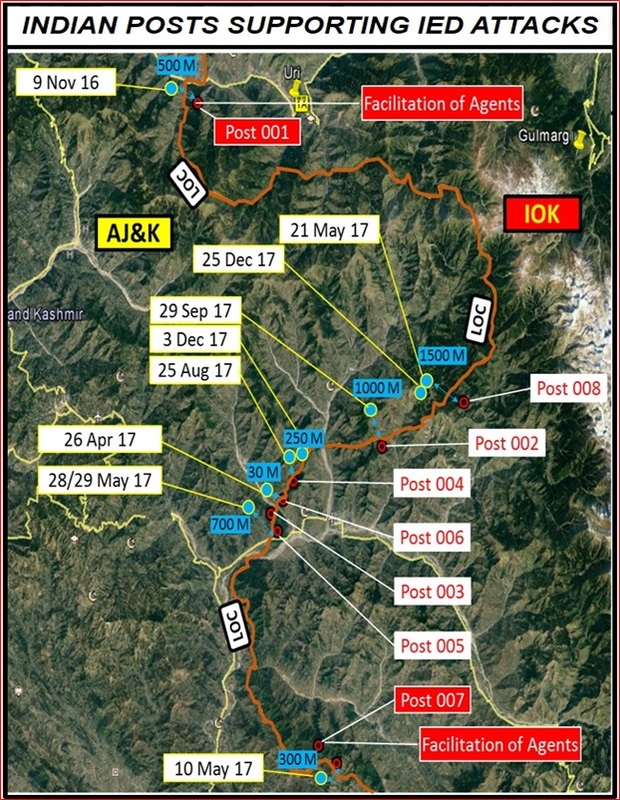 The documents say that the Indian intelligence operators have mostly used Hand-Held Radios or cellular phone (GSM) devices for remotely activating IEDs (placed by agents); therefore, IED sites are selected with a clear line of sight from the Indian army posts (map below). GSM coverage spill over across the LOC also facilitates the attacks. 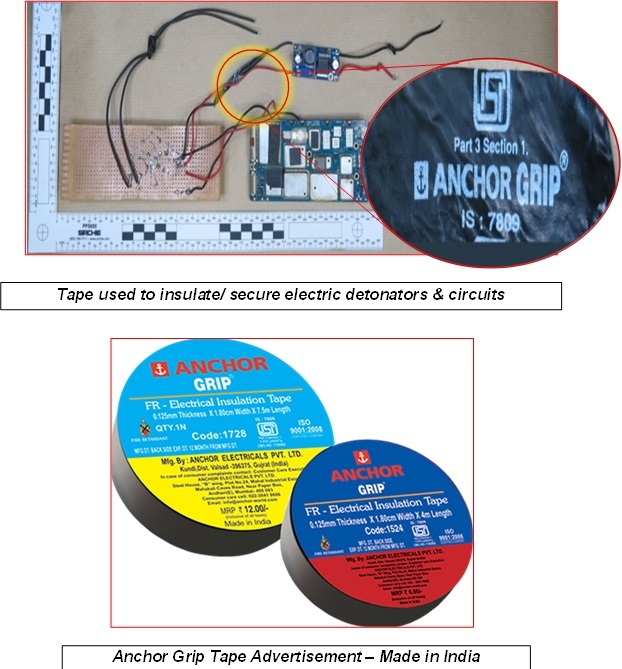 “The fire resistant tape used to hold the wires of the circuit together is of Indian origin-manufactured by Anchor Grip Company of Gujrat, India. The forensic analysis reveals a use of Indian manufactured geometry boxes as a container for the trigger of Remote Controlled Improvised Explosive Devices (RCIEDs) – SANGHAVI PLAST – Indian manufacturing company,” the documents said. 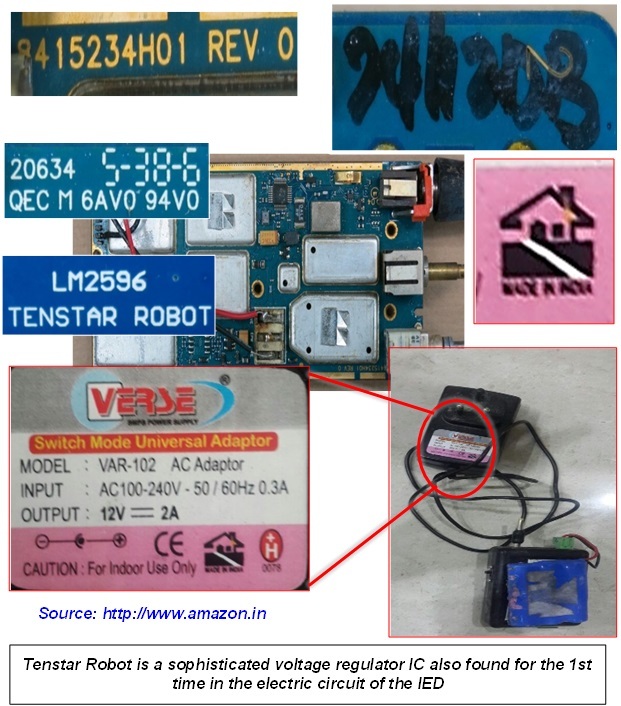 The documents say that forensic exploration reveals the use of Indian made circuit board items; ‘Made in India’ is written in clear on the recovered items – manufactured by India-based Verse company. “Hindi writing script (handwritten) has also been found on one of the circuit boards. 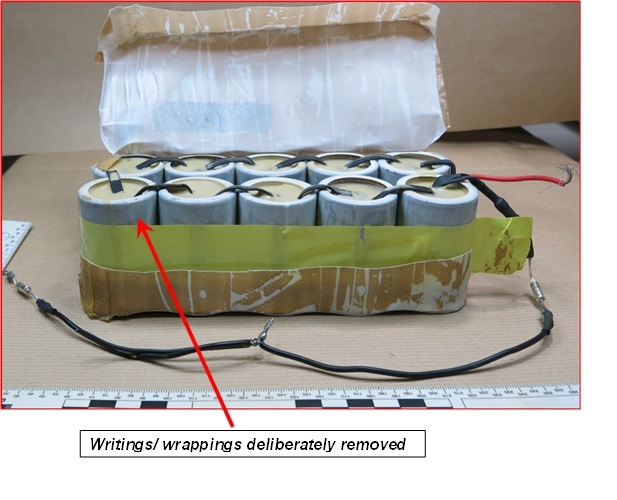 The detailed analysis of recovered unexploded electric detonators reveal a unique clamping signature; another new technique as all IEDs employed along the Western border have been found to use a manual clamping method,” the documents said. “The recovered RCIEDs have revealed that multiple battery packs are used for providing extended power to the RCIED (estimated to last up to 45 days). The long life of battery provides the Indian intelligence operators flexibility in selecting and engaging targets (civilians or military personnel) to maximise the damage (from adjacent Indian posts across LOC),” the probe report went on to state. The Indian involvement is further revealed in the level of sophistication in the construct of IEDs; a use of Breadboard Circuit is a new technique being used on IEDs found on the LOC — a readymade solution for constructing complex electronic projects. 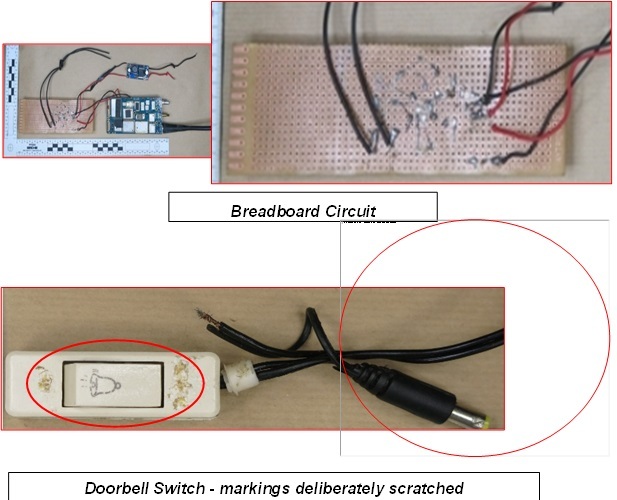 “A use of doorbell switches in a few IEDs, with inscription/ marking deliberately scratched off, is another new technique never seen on IEDs recovered on Western border,” the report disclosed. 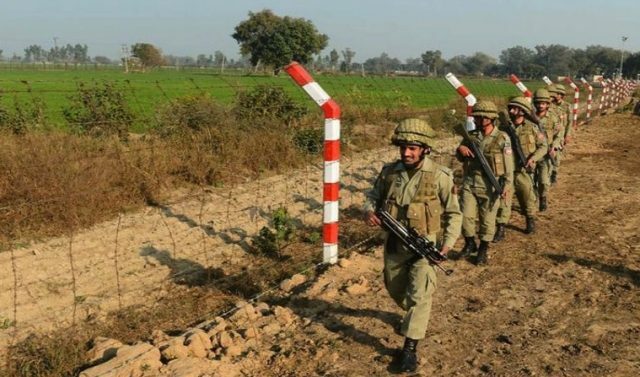 “The spies have confessed that Indian intelligence agencies and Indian army posted at the Line of Control (LoC) have hired them for planting IEDs in areas close to the LoC to target the Pakistan Army,” an official involved with the investigation said. The official, who did not identify because he was not authorised to speak to the media, said that since 2016, 16 IED attacks have taken place in the vicinity of the LOC, which resulted in casualties of innocent civilians and military personnel. The official said that the IEDs employed in AJK were technically more sophisticated as compared to the ragtag/ rudimentary nature of IEDs employed by Violent Non-State Actors (VNSAs) on the Pakistan-Afghanistan border. “Despite cautioning the Indian military hierarchy [through Military Operations Hotline Communication], this dangerous trend continues. But let me warn India that it will have to face consequences if not stopped,” the official said. The IEDs planted by Indian intelligence agencies have resulted in the martyrdom of civilians and soldiers alike. “Till date, 27 casualties have occurred which include eight martyred and 19 injured,” the official said. 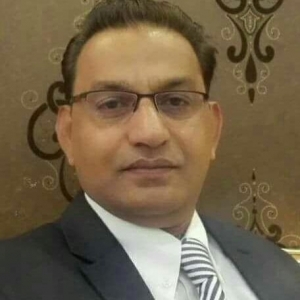 The official said that the apprehended Indian agents have confessed to their links with the Indian agencies that clearly implicate RAW in lead role for these sabotage activities. “The revealed modus operandi and evidence found on the IED blast sites further confirm Indian involvement in these sabotage activities. The Indian agents also revealed details pertaining to their meeting with Indian intelligence officials at Indian posts across the LOC, where they were tasked to place and conduct the IED attacks,” the investigator said. The official said the agents were additionally tasked with other espionage activities–information on the Pakistan Army deployment etc. “Singular motivation of all apprehended saboteurs has been material gains; no ideological tidings exist. 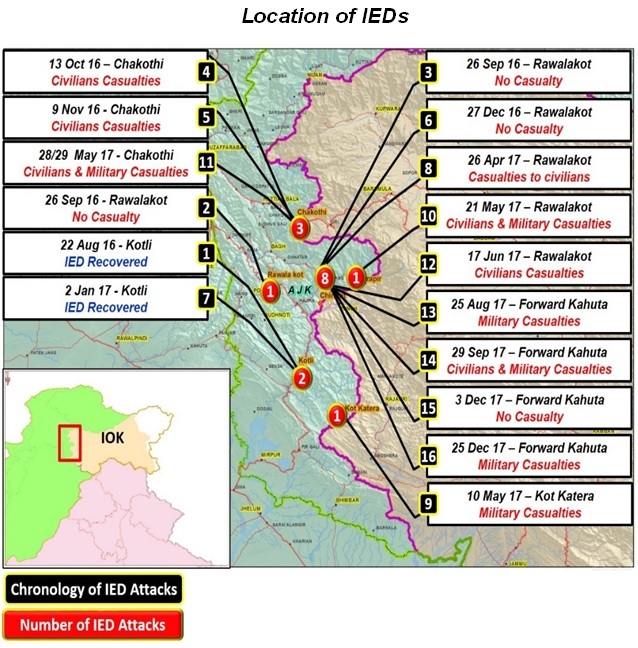 All IED attacks were conducted in the proximity of the LOC due to an increased reliance by the Indian agencies on Remotely Controlled IEDs (RCIED),” the probe report said. Moreover, the report disclosed the Indian government’s coercive strategy, unfortunately, involves targeting civilians as a design, which is a gross violation of Geneva Convention and Law of Armed Conflict. “It is premised on a fake and audacious narrative of alleging border villagers of facilitating cross-border terrorism,” the report read. Even an Indian media’s report, in September 2017, said that as part of ‘Operation Arjun’, the Border Security Force (BSF) had deliberately targeted farms and residences of civilians along the Working Boundary that had led to the deaths of eleven civilians and seven Pakistan Rangers personnel. An article published in Times of India also said that similar violations were also undertaken from September to December 2016 under the garb of ‘Operation Rustam’. Just the beginning. Don’t panic yet Pakistan coz its only going to get worse from here on. Time has come for a buildup to dismantle Pakistan. InshAllah we’ll destroy your country one day. You are a murderous son of b***. You’ll get what you deserve . One day InshAllah. yes pakistan started getting what it deserved in 1971. We were too kind. We should have dismantled you then. Wow wow … come down bro … ignore it … We are brothers … just forget all things and no need to be anger bro ..
We don’t talk we only act. Future will tell what is your destiny. Inshaa Allah there will be Gazwa_e_Hindh & India will be ruled by the Muslims. Muslims cannot protect themselves against tiny Myanmar army. See what they are doing to Muslim women? Will Muslims be able to fight against Nuclear armed 1.5 million strong Indian army? You guys must get out of your delusions. Such delusion will cause total destruction of Pakistan. Destruction not by US or India but by Pakistani Muslims themselves who have their heads in the sand. Do not over estimate your strengths. Reality is something else. As a practising maatha jhey hari krishna hindu ohm shanti ohm – what i want to know, is this. I mean in all seriousness, lets forget the little things, like cross border firing and pety things like who does kashmir belong to – i want the big question answered, please. Oh please can some one just answer my question. Which is, why can Pakistanis eat that such beautiful delicious looking t bone steak and we cant? WHY? Them rib eyes look so juicy, with gravy and mash potato, and the sirlion steaks cut from maatha jheys tender chest, why can we not eat this? Please. I wana know?? I want to eat steak!! Law of nature..no one can servive or enjoy who carry out the killing of innocent people. .
Pakistanis getting the taste of their own medicine. After years of sending terrorists, planting IEDs, foosting fake movements, it is suffering from the same fate. The chicken has come home to roost. Pakistanis have dreamed of ghazwa e hind for years but India divided pakistan in 1970 and its further division is all but guaranteed. Oh and for precedence sake as you mention banhladesh – google kargil hills war – you’ll see who won that one. Real question is what Muslims in the sub continent have done to infuriate Hindus so much? What Muslims have done to infuriate Americans and Europeans so much? Or is it always the other side to blame? And how long will you blame like this? Do you think people believe any more? Chief. Take a lead and do it. Do not just exhort others to do killing for you. Do it if you have guts. Internet warriors hiding in their bedrooms can talk any non sense on internet. Reality on ground is different. Indian army has clear advantage on LOC due to height and less populated civilian areas. As Pakistan sends non state actors to India one can expect India to continue to kill Pakistanis with impunity. The world that is unable to save Rohingya Muslim women from mass rapes against tiny Myanmar will not even look at India. Pakistani Muslims do not count in today’s world. So forget any help from any one else. Expect even more devastating punishment on LOC.